-WHEN: Thurs Nov 8 starting at 6:15p (check in & bid on Silent Auction)... 7p to 9:30p Three Course Dinner and Entertainment! -WHY: $$ will go to: 1) the Emergency Shelter for people who need a safe place to stay pronto!... 2) the Step-Up Program to help people learn skills and get back on their feet and independent... 3) the 9-Month Recovery Program for people struggling with addiction... 4) a bunch of supporting services for folks who need help. 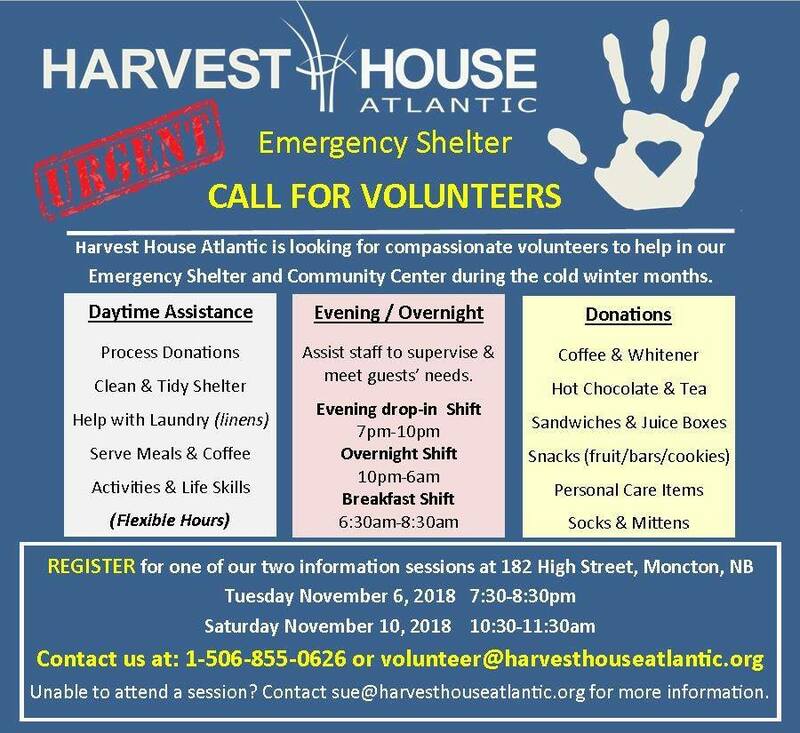 "With the cold temperatures & damp weather of last week, Harvest House Atlantic saw admissions of 40-50 guests into our Emergency Shelter & Community Center - we have 34 bunks. The challenge will increase as the temperatures continue to drop and people can no longer sleep outside. 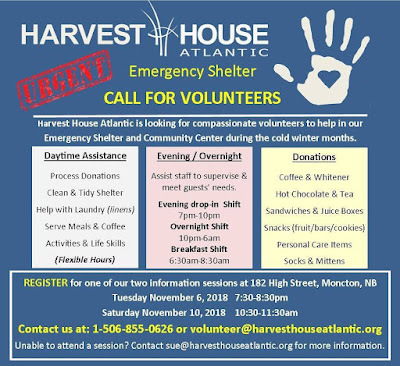 Harvest House Atlantic NEVER TURNS ANYONE AWAY due to a lack of bunks. We open an overflow sleeping area in our Community Center. This creates an URGENT NEED for volunteers and resources. The picture below shows how you can help. Join with us to become better together and love our community!"